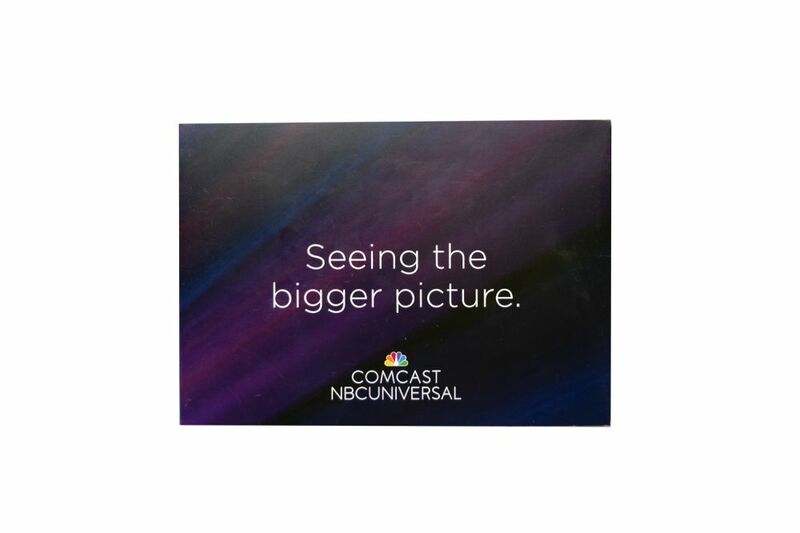 Comcast and its critical NBC Universal Division was preparing a report on its efforts on Diversity and Inclusion. It was an important corporate focus for the top levels of the company who wanted an innovative way to broadcast its success to its channel partners and the overall marketplace. 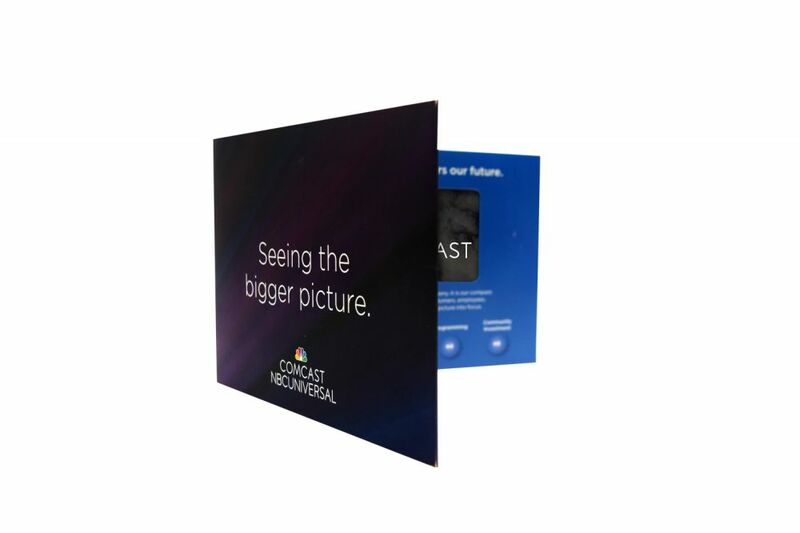 Comcast’s management feared that a generic brochure would simply be lost among the clutter. It wanted an innovative way to communicate its positive results. 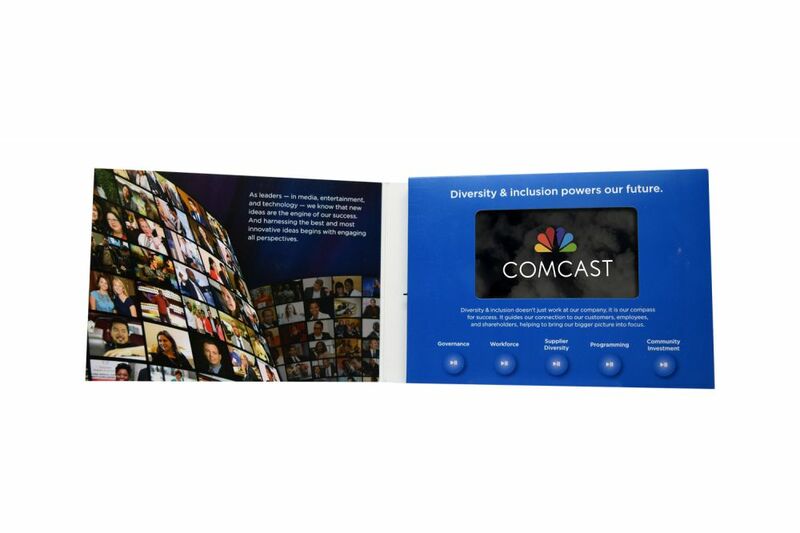 Working with Comcast’s agency, Americhip designed and produced an innovative brochure incorporating our patented Video in Print technology. What better way to showcase your positive results than by using Americhip’s innovative video brochures. 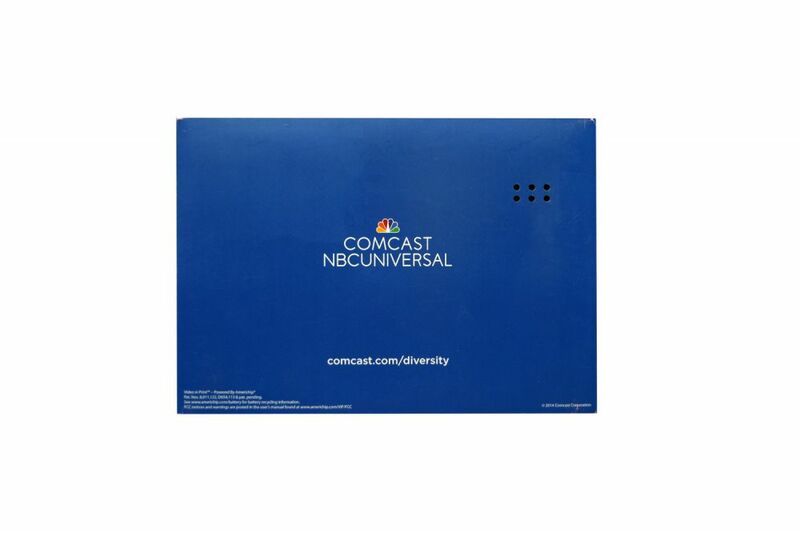 Comcast utilized the Video in Print technology to highlight five key areas of success—from its Workforce Identity to Supplier Diversity to Community Investment. The unique video brochure not only communicated the outstanding corporate results in an innovative way, but just as importantly ensured through its cutting-edge video design that the message would not get buried among the clutter of the marketplace. 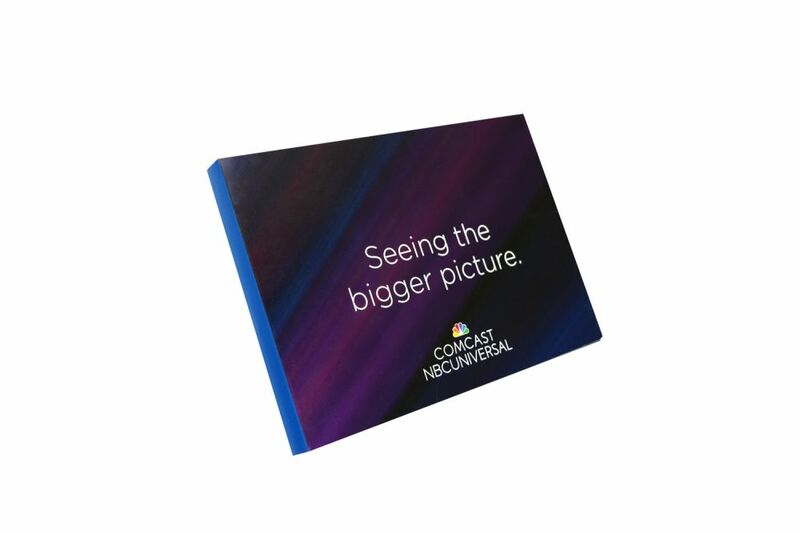 Transform your next corporate communication or branding vehicle from a traditional, overlooked piece into a real show-stopper. Speak to your audience through a medium that motivates and inspires.